In 2015, HOTEL ASIA PROJECT launched a research-based exhibition project, LANDSCAPE in collaboration with artists, film directors, and researchers from Japan, Thailand, and China. The project has toured several cities including Bangkok, Chongqing, Shanghai, Kitakyushu, and Tokyo. The project seeks to add new and multiple perspectives to the idea of landscape in Asia since the arrival of the modern age through researching how landscape appears in actual urban space, virtual media and internet space including SNS, and films and art works. The research result is shared in the form of exhibition, discussion, symposium, and publication of artist book through which the project proposes various interpretations of landscape. Since the birth of landscape painting, painters have traveled to various parts of the world to depict the scenery of the places. It was the sketch of a specific place in a specific country when it was depicted. However, since many of them lacked proper recording of the location and date, what we see today have already lost its temporal and spatial specificities. “Unidentified Landscape” is a term used for the works that we cannot specify its location. 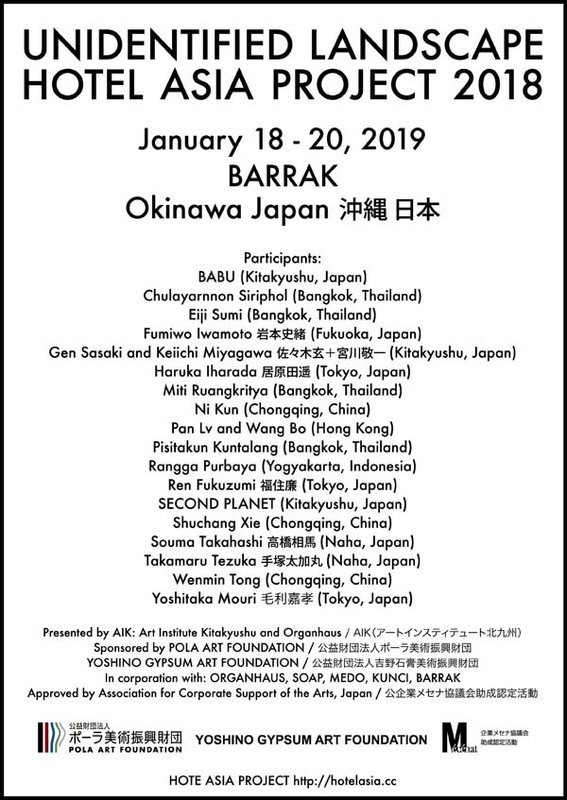 This year’s project borrows the idea of unidentified landscape and conducts the exhibition and symposium under the title Unidentified Landscape in Japan, China, Indonesia, and Austria. Building upon the result of previous series, the project seeks to capture the ordinary landscape and the landscape appearing in sketches, photographs, videos, texts, and sounds in order for proposing various perspective and a new interpretation of landscape in contrast to the view to see landscape as geographic, historic, or cultural product or as an arbitrarily formed object of memory, feeling, or desire of the mass. The process and the result of the project will be shared on the Internet and in print as well.